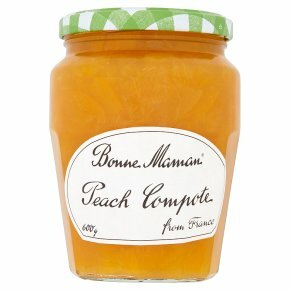 Bursting with juicy peach pieces, Bonne Maman Peach Compote is delicious with yoghurt, ice cream or in baking. Caution: Stone fragments may be present. Despite our best efforts, on very rare occasions, stone fragments may escape our vigilance and be found in the jar.